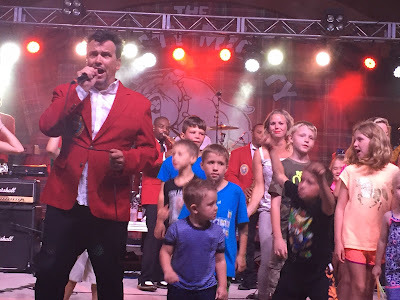 A couple concert goers got a little too close to The Mighty Mighty Bosstones last night in Fort Thomas' Tower Park. As they were playing their hit song, The Impression That I Get, two men got on stage and began dancing. Within seconds, police pounced on both men and were escorted offstage. No word yet if any arrests were made. See the video for yourself below. The men climb the partition at 0:28.